Make sure your mother gets the right Gift this Mother’s Day. Our wide array of choice contains over 75 popular brands. Mother’s Day gift ideas just got easier and more loving. With YouGotaGift.com, the first online mall for eGift Cards, you can do all this and more. Mother can now go straight to the store, or even choose something after their special day when they come across what they really want. Our eGift Cards are valid for up to one year so your mother has plenty of time to choose something they’re really yearning for. Our eGift Cards can also be personalized making it perfect for Mother’s Day. 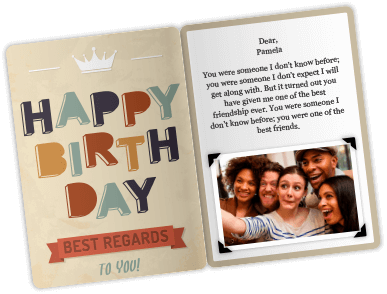 Use a loving picture, a fun video, a sweet audio clip, or heartfelt message to make your gift more special and surprising. Or simply choose from one of our beautifully designed mother’s day greeting cards to give it that loving feel. Our super fast platform has made last minute Mother’s Day gift ideas an ease. It’s the perfect gift if you’re stuck for last minute ideas and its just a few clicks away. What’s the best part about using YouGotaGift.com for gifting this Mother’s Day? Well, apart from making the most of the smooth, headache free, online experience while everyone else is scrambling for the same last minute monotonous gifts, your mother will be lucky enough to receive an eGift Card with endless possibility. Order an eGift Card this Mother’s Day and share the fun in just a few clicks, sending them to your mother through SMS, Facebook, and eMail. Redeeming for mum is simple too. Just walk into the desired retailer, choose the items you want, and present the eGift Code at the checkout. You can do this by simply showing them on your phone. 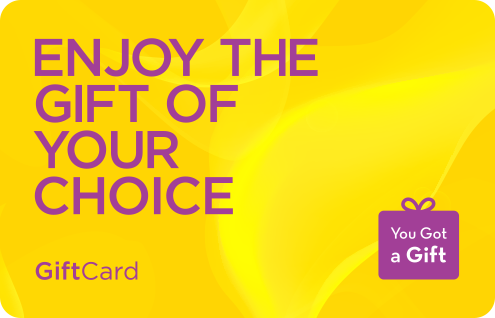 It’s that simple, satisfying, easy, fast, and fun to send a personalized eGift Card with YouGotaGift.com. Finding the perfect Mother’s Day gift is always difficult. With YouGotaGift.com we have a wide selection of brands including major jewelry retailers, cosmetic & fragrance stores, and shopping malls. We also cater to foodies, fashionistas, movie gooers, music lovers and extreme sports & outdoor activities. With all these options, you can be sure your darling will get a chance to choose what they real want helping you keep the fun mood and avoid the disappointment of any mother. With our eGift Cards it doesn’t matter if you’re with your mum for Mother’s Day or you and your mum happen to be far away. Our instant digital gifts avoid the hassle and costs of shipping items while our ever-growing list of major brands are spread across the UAE, Lebanon, Bahrain, Qatar, and Saudi Arabia.